Appearance (0-20): The first thing that you would immediately notice is the shape of the cigar. Its a somewhat cross between a box press and classic shaped cigar. One thing that my uncle mentioned is how these age. He bought a box, and they were quite flat/rectangle shaped. He let them sit in his humidor and they puffed up into the oval shape. Pretty neat. Anyway, the cigar itself looks very inviting. The wrapper is very grainy, and rolled perfectly. It is donned with a beautiful band, that has excellent complimenting colors. Black and gold always work well together, coupled with yellow and red. Construction (0-20): The draw on this was superb, even though it was very well packed. The cap clipped off easily, with no debris at all. As mentioned earlier, the cigar was rolled perfectly. This really left for an enjoyable smoking experience, not needing to worry about any draw or burn issues. The ash held on for close to 1.5 inches, and was a coiling white ash. Construction can absolutely ruin a cigar, but this one hits very high on the scale. Strength (0-20): Listed as a full smoke, you will probably feel it. Even an experienced smoker will be hit with a medium-full experience, and full for many others. The great thing is that the flavor was excellent as well. 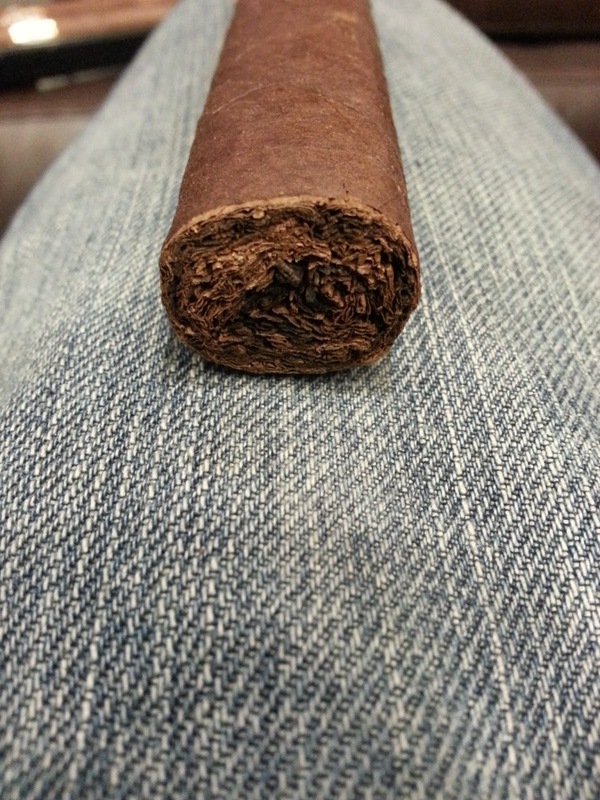 Flavor (0-20): If you've never smoked anything created by AJ Fernandez, then you are simply doing yourself a disservice. He is one of the best cigar blenders on the market today, and this is a perfect example of why. The Oval itself is not super complex, but all of the flavors are robust and meld so well together. Spice and cocoa balance themselves throughout the whole smoke, while adding in a nice bit of creaminess. 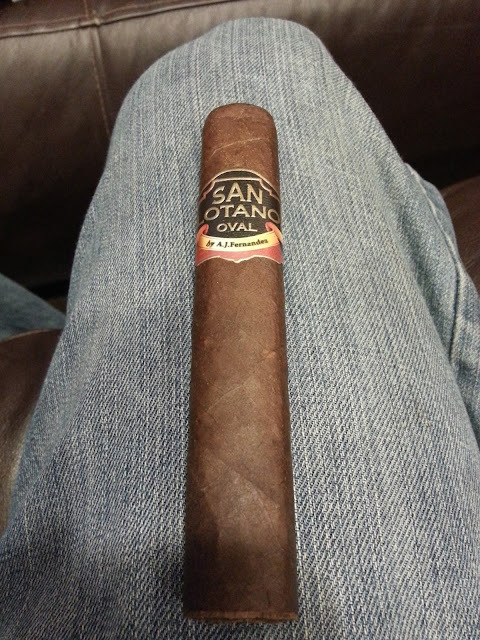 The original San Lotano (non-Oval) was much better in the habano wrapper, as opposed to the maduro. I haven't smoked the Oval maduro yet, but I feel the wrapper might take away from some of the flavors in the filler. Either way, I don't think that you can go wrong with an AJ smoke. Value (0-20): Just about all of AJ's cigars are very well priced for the sizes they come in. Quite possibly a box worthy cigar. Overall (0-100): Par for the course, AJ produces another solid cigar. I can honestly say that I have never smoked a cigar of his that I hated, except I wasn't a huge fan of the Pinolero. Some are better than others, but just about all over them are great. For one manufacturer his is way ahead of anyone else in my opinion. 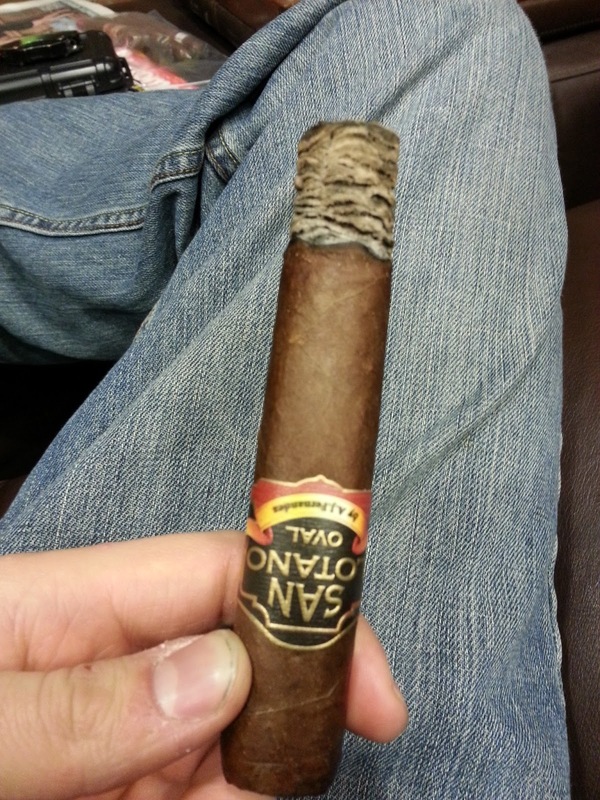 The San Lotano Oval is an excellent line of cigars, and hits high on eve single point scale. Grab at least one if you haven't already; if you have, go grab another one! Try the Pinolero again and let me know what you think. They came out a little early IMO, and have done very well with a short amount of age. I would definitely give it another shot. At the time, the flavors were somewhat bland for me, but I will revisit.